Pyro Jump is back and this time he's not alone! Once again, he's going to need your talents to save his friends who are being held prisoner. 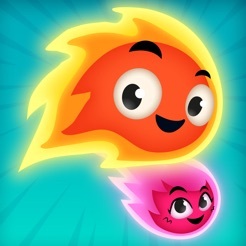 On the strength of the success of Pyro Jump first game (more than 5 million downloads), Pyro, the little flame, is back and is stronger than ever! The challenge is still there, with a new fortresses game system. 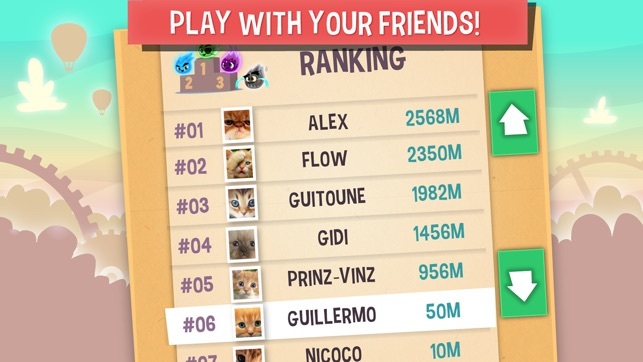 Unlock the levels one after the other, save your friends and reach unexplored heights. 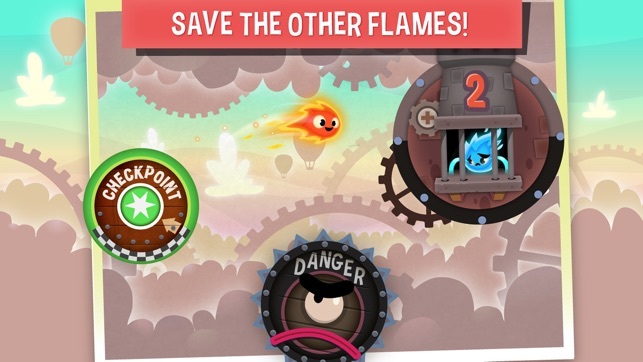 Pyro Jump Rescue is a an awesome beautiful platform game that requires speed, skill, precision and a sense of timing. 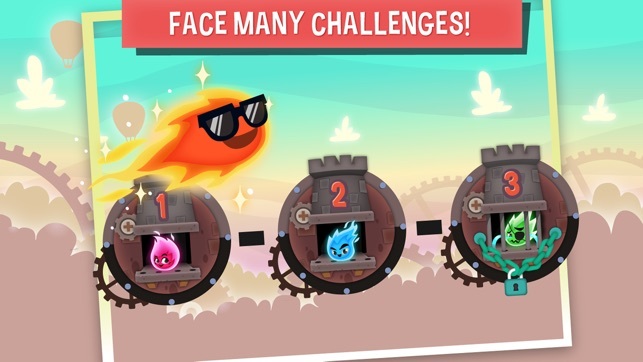 Challenge your friends and don't let Pyro's love go out! Who will be the first to free his friends? 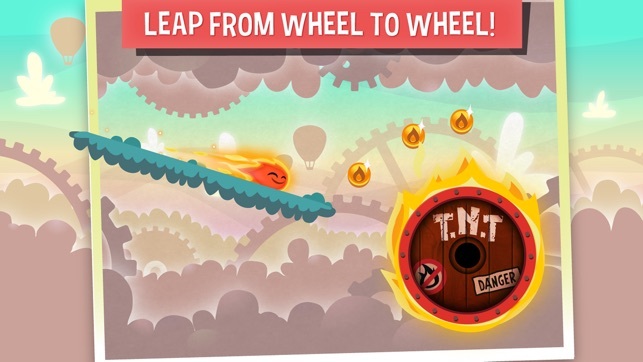 Pyro Jump Rescue’s hero is a smiling ball of flame who must leap between whirling wheels through increasingly challenging stages. 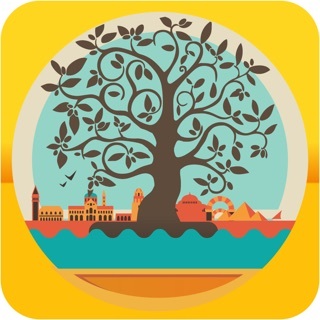 Regular wheels are safe; a single tap sends you toward your next revolving destination. But dangerous wheels loaded with TNT, spikes, and pinball-like bumpers raise the platforming intensity. Collectible coins let you activate checkpoints—and you’ll need them, since even a minor misstep can snuff this fire out. The game is fun but never have I been subjected to so many ads in such a short time. I would be willing to pay a few bucks to play a no ad version like the other pyro game, but this is not an option. Every other time you die you have to watch a full 30 second ad before you can play again, even if you die quickly. It's the most annoying thing in the world. This is so addicting!!! I love it! 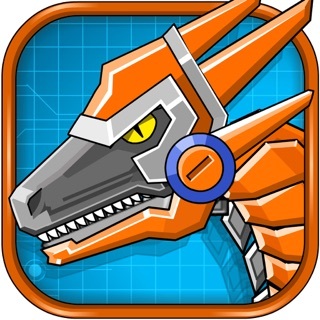 I think everyone should have this game, because it is great and works perfectly!